When deciding which dog food works best for your pet, keep personal ized foods like Just Right by Purina in mind, which can help address your dog’s unique needs. It combines your firsthand knowledge with nutritional expertise to create the best dog food blend for your dog. By answering just a few questions about your pet’s breed size, eating habits and more, you can create a personalized blend of food that includes your dog’s name, photo and feeding recommendation that gets shipped directly to your door. Healthy skin and coat By providing important details about your dog’s skin and its needs, certain ingredients can be included in order to avoid dry and itchy skin. Omega-3 fatty acids from fish oil, along with vitamin A and Linoleic Acid, can help keep your pup’s skin refreshed and can give your dog’s coat the nourishment it needs to be shiny and healthy. Ideal body condition Being the right weight can contribute to a lot of different health factors, but having an ideal body condition can be about more than just the amount of food you feed your pet. The right amount of fats and proteins can help keep your dog right where he or she needs to be. 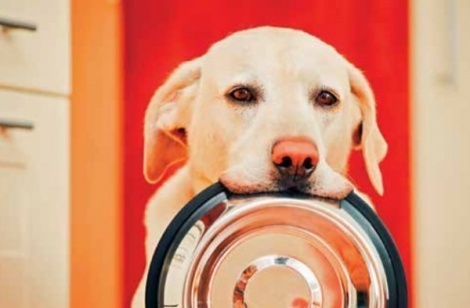 Choosing a formula with chicken, salmon or lamb as the first ingredient can help your dog’s body feel strong and healthy with their high amounts of protein. Just as important, each dog has different metabolisms and different caloric needs, so personalized feeding instructions like those offered by Just Right by Purina can help your dog reach his or her ideal body condition. Joint health and mobility Many dogs are often on the move – walking, running and playing. Having healthy bones and joints can support your dog’s overall health, especially in developing puppies, large breeds and senior dogs. Choosing a formula with proper amounts of calcium and phosphorus can help support joints and bones. Brain development Puppies need all the help they can get when it comes to growing and supporting life long health. Giving them foods that include nutrients like DHA that support brain and vision development can inspire your puppy’s curiosity about the world. Active lifestyle Overall, diet has a big impact on providing the nutrients needed to energize your dog every day, all day long, and ingredients in their food can provide the complete and balanced pet nutrition that helps promote an allaround active lifestyle. Finding safe personal care products.How Pets Can Improve Your HealthTOP 10 Inspiring Stats that Prove Veganism is Going MainstreamHow Dog Smart Are You?